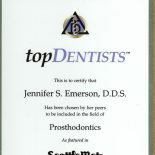 We encourage all our patients to see us on a regular basis so we can help them maintain their teeth and oral health. Consistency in having good dental care affects patients’ dental comfort, facial appearance, ability to eat (and it may determine what they can eat), as well as their general health. Consistently getting good dental care also affects patients’ future need for (or avoidance of, if treated early) prosthetics such as dentures, implants, or strengthening veneers or crowns. Early detection of conditions by Dr. Emerson or a referring dentist and timely treatment by Dr. Emerson or other specialist can keep your oral health and general health at the highest level of oral comfort, function, and appearance –as well as at lower long-term dental costs. Early detection and timely treatment are key to maintaining good oral health and functional teeth! 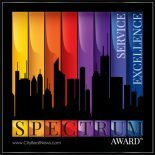 Welcome to our offices. We practice what we preach in offering patients the best of all worlds in dentistry for patients needing an innovative comprehensive team approach which crosses over various specialist dental disciplines. 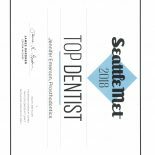 When you choose dental care with us, you have access to a highly skilled network of comprehensive and specialty dental care practitioners in the North Seattle area who communicate together regularly to provide comprehensive, convenient, accessible dental health care supported by the latest technology and research. Each of these dentists and technicians are committed to patient education and dental disease prevention, and to personal dental care planning and comprehensive follow-up which may occur in the offices or surgery centers of multiple dental specialists. 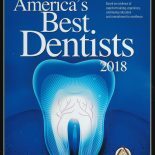 The availability of this unique network makes the outstanding dentistry and services of these unusually fine dentists very different from that of others!